The Anderson County Preschool Program, located at the Sparrow Early Childhood Center, provides developmentally appropriate, state-recognized instruction provided by highly trained, certified teachers and support staff. The program is available for FREE to 3 and 4 year old children exhibiting a state-recognized disability or delay and also for 4 year old children (4 by Aug. 1st) whose household income is at or below 160% of the federal poverty level. The program operates Monday through Thursday and has both AM (8:05AM to 11:05AM) and PM (11:35 AM to 2:35 PM) sessions with bus transportation provided both to and from school. A preschool screening is required prior to enrollment. Please call SECC at (502) 839-2504 to schedule your child's screening. 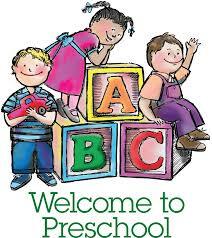 We look forward to providing your child with an enriching and rewarding preschool experience. The High/Scope curriculum is based on a shared control of the classroom between the students and teachers. We believe that when children are actively involved in their learning that the benefits are great. As the adults in the classroom our role is to provide the children with the developmentally appropriate materials and support needed to reap the benefits of active learning. Our Daily Routine includes several elements such as: circle time, small group instruction, whole group instruction, mealtime, outside time, planning time, work time, and recall time. We assess each child using the TSGOLD. The TSGOLD is an observation based tool that allows teachers to identify and recored growth that is taking place while children are at school. Learning takes place while children play, try out new ideas, solve problems, and make new friends, therefore, the assessment takes place at those times as well. TSGOLD allows teachers to gather authentic datat over time to give a well rounded picture of their development in each of the following areas: Social-Emotional, Physical, Language, Cognitive, Literacy, Mathematics, Science and Technology, Social Studies, The Arts, and English Language Acquistion. Each of the 38 objectives has 6 levels that show developmental progression. Data is collected and progress reports are sent home twice a year in November/January and again in May. Children’s records are stored on-line and parents may access their child’s records by receiving an invitation from their child’s teacher. Adult-Child Interaction during the daily routine should be encouraging and supportive so that the children can be successful. Children are encouraged by the adults and each other to make "Wise" Choices as well as to use social problem solving steps to talk through our problems. On a rare occasion a child may need a cool down period but this is very rare. Our learning environment consists of different interest areas for the children (Art, Block, Dramatic Play, Discovery, Library, and Computer). The materials in each of these interest areas may change throughout the year according to the children’s interest and needs of the classroom. An example of some materials you may find in the Art Area include various types of paint, paper, crayons, scissors, staplers, tape, glue, and other materials. Block area materials may include a variety of blocks, cars/trucks, woodworking table, trains, dollhouse, and other materials. Dramatic Play area materials include kitchen area with cookware and utensils, dress up clothing, dolls, and a variety of other materials. Discovery area materials include puzzles, pegs, games, and a large variety of math and science materials. Library area materials include a writing center, listening center, book center, quiet center, and puppets. Computer area includes three computers where the children work each day. We have designed our learning environment to be a warm and welcoming place for your child each day and for you whenever possible. Active learning through the Key Experiences is the final aspect of the High/Scope curriculum. Our Daily Lesson plans are based on these experiences and the children’s active involvement in them. We plan on your child having these experiences multiple times throughout the school year. We also allow them the opportunity to actively involve in these experiences. Other curriculum we use includes STARS, LiPS, Handwriting Without Tears, Second Step, Breakthrough to Literacy and Everyday Math. The Lindamood Phoneme Sequencing® (LiPS®) Program successfully stimulates phonemic awareness. Our children become aware of the mouth actions which produce speech sounds. This awareness becomes the means of verifying sounds within words and enables the child to become self-correcting in reading and spelling, and speech. Handwriting Without Tears is a handwriting fluency curriculum, fundamental to learning because children think and write at the same time. When we teach children to write, we also teach them how to express themselves. If they struggle to form their letters, their ability to express themselves will suffer. Children who don’t master handwriting may be slow, sloppy, or illegible writers. We focus on fun and achievement to optimize children’s curiosity and joy of learning throughout school. Our goal is to help students learn proper handwriting habits and then apply those habits naturally and automatically to all writing experiences that they’ll take throughout elementary school, high school, and beyond. The HWT curriculum starts when children enter preschool. By playing, singing and building letters, they develop important skills they need to print words, sentences, paragraphs, and eventually transition to cursive. Second Step is a violence prevention program where we discuss the different types of feeling and how we react to others when we have those feelings. Breakthrough to Literacy is our school wide Literacy curriculum. Aspects of this curriculum include activities and writing based on the Book of the Week as well as daily computer time. Every two weeks, we have a different book that the children read and complete activities around. The program also includes daily computer time where children read stories and complete activities. Children may bring home a Take Me Home Book at the end/beginning of the two week period. Everyday Math is our school wide Math curriculum. In preschool, this curriculum is integrated into the daily routine. You may see these activities in various parts of the routine from circle time to small group to work time or even during transitions.